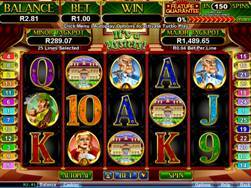 RTG - which is also known as RealTime Gaming are a popular gaming software provider and seems to be the software of choice specifically for online casinos that accept USA Players. 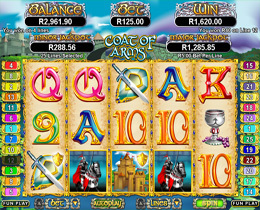 We enjoy playing RTG slots as the software is incredibly stable and very rarely freezes, as is the case so often with many other gaming software. Basketbull - Play Basketball with the baddest bull in town. In the bonus round - Any successful throw will double the number of free games given, which are then tripled!Up to 96 free games can be won during the bonus round. 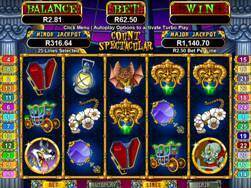 Haunted Opera Slot- Free spins feature is triggered when a Letter appears on reel 1 and the Mask appears on reel 5.